The iTero handheld wand takes a digital, 3D image of your prepared teeth, stopping as needed. You can look at the iTero 3D image on the screen in real-time. 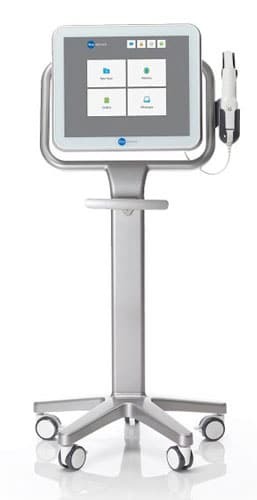 Now instead of UPS shipping impressions to the lab to be scanned, the digital image is electronically sent to the lab and is available in the Invisalign Clincheck system the next day. The accuracy and detail of the iTero scan vs a putty impression are comparable to watching HDTV over standard definition TV. These digital scans don’t need to be rescanned so by removing the “clay modeling step” we have greatly improved the accuracy. Eliminates Putty Impressions – the most invasive procedure in daily orthodontic care. Superior Accuracy – with no distortion from patient movement during the set or removal of impression, or disinfection.